“To promote and foster the Arts in the South Kaipara area of the Rodney District. The objectives of the Kumeu Art Centre Incorporated are to promote and foster the arts in the South Kaipara region, to support talent in the local Arts community. This is done by managing and developing the facilities at the Kumeu Arts Centre and by promoting all facets of participation, education and training in the Arts. 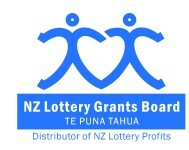 Links are fostered with similar groups within the South Kaipara district, New Zealand and overseas. We are a community arts centre, not for profit incorporated society and registered charity that offers classes, untutored groups, events, workshops, festival and exhibitions. Our building was once an Auckland Council works depot, but has since been transformed into a fully functioning, fit for purpose community arts centre and gallery. This has been largely due to hard working and enthusiastic volunteers and committee members, our heartfelt thanks to all those who have contributed to our success, including our funders. 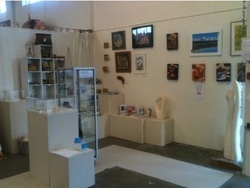 Our retail area, (a small area of our gallery, partitioned off) small though it is, delights our visitors, who love to purchase locally made unique items, rather than commercially produced goods. Continual growth of sales of these arts and crafts (created by our members) helps supplement our income and allows us to continue to support our local artists. We, as always, strive for greater economic self sufficiency over time. Open Monday to Friday 9am - 5pm, Saturday 10am – 3pm. 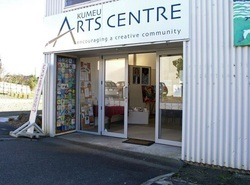 Kumeu Arts Centre relies on funding from various sources and a volunteer minding system.